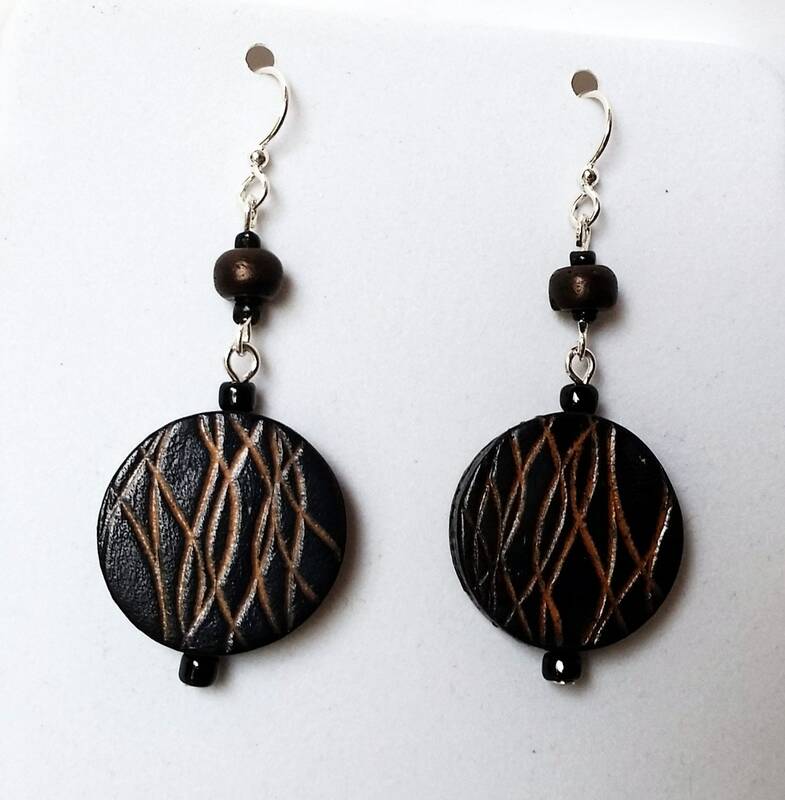 Mocha brown leather in coin shapes approx. 0.8 inches in diameter have etched wavy tan lines. 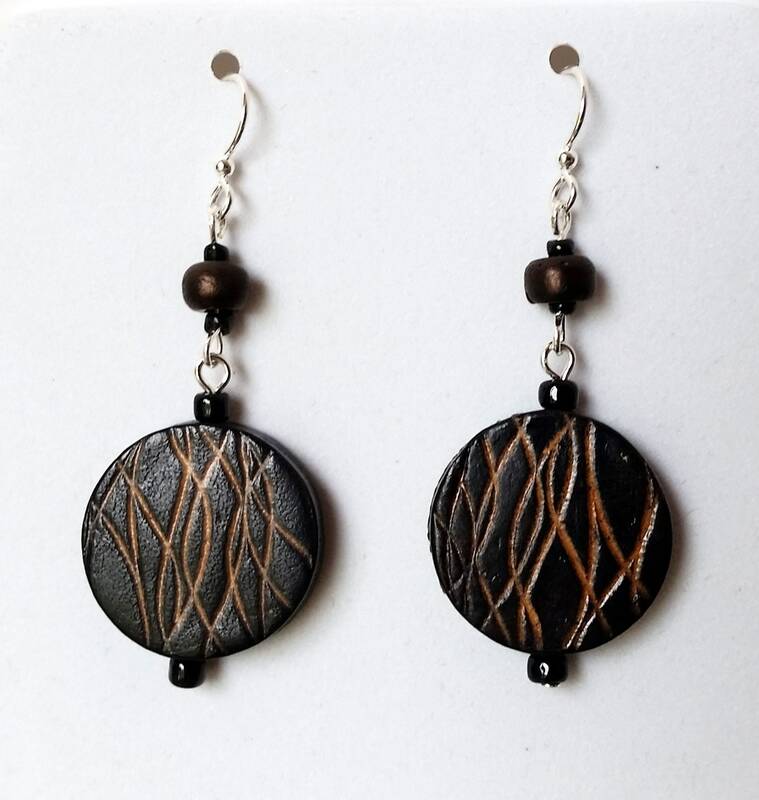 These leather coins are suspended from a short link with a round brown wood bead. 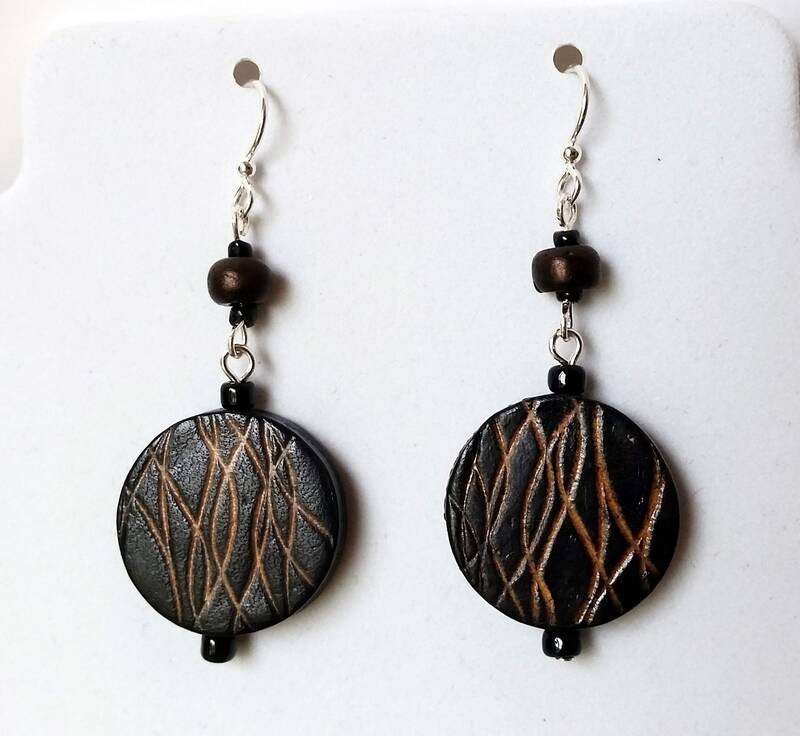 Sterling silver ear wires top off these attractive, earthy, double drop earrings! The double drop length is approx. 1.6 inches.